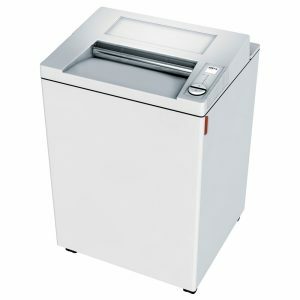 Our entry model in the category of office document shredders with 260 mm feed opening and a large shred bin capacity. 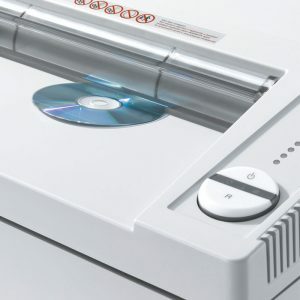 SPS – (Safety Protection System) package: patented, electronically controlled, transparent safety flap in the feed opening as additional safety element; EASYSWITCH – intelligent control element indicating the operational status of the shredder with varying colour codes and back-lit symbols; automatic reverse and power cut-off (avoids paper jams). 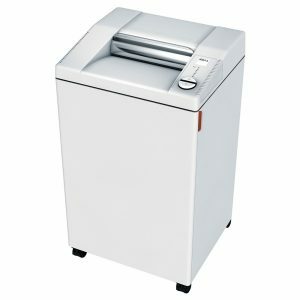 Powerful document shredder for centralised office use with electronic capacity control, suitable for continuous operation. All shred sizes available. SPS – (Safety Protection System) package: patented, electronically controlled, transparent safety flap in the feed opening as additional safety element. 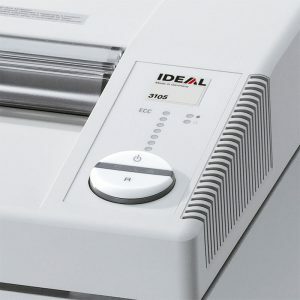 EASY-SWITCH – intelligent control element indicating the operational status of the shredder with varying colour codes and back-lit symbols. Automatic reverse and power cut-off (avoids paper jams). 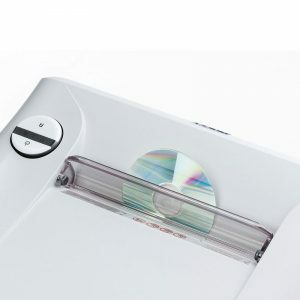 transparent safety flap in the feed opening as additional safety element; EASY-SWITCH – intelligent control element indicating the operational status of the shredder with varying colour codes and back-lit symbols; automatic reverse and power cut-off (avoids paper jams). 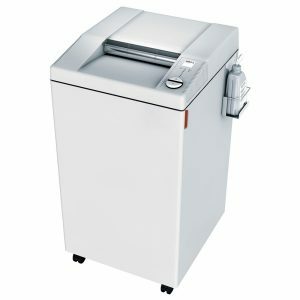 Extremely powerful office shredder with electronic capacity control and automatic oil injection system for a consistently high shred performance. SPS – (Safety Protection System) package: patented, electronically controlled, transparent safety flap in the feed opening as additional safety element; EASY-SWITCH – intelligent control element indicating the operational status of the shredder with varying colour codes and back-lit symbols; automatic reverse and power cut-off (avoids paper jams). 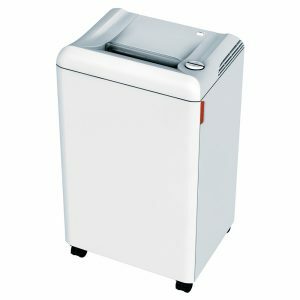 Attractively priced office shredder with electronic capacity control, 400 mm feed opening and large shred bin volume.SPS – (Safety Protection System) package: patented, electronically controlled, transparent safety flap in the feed opening as additional safety element; EASY-SWITCH – intelligent control element indicating the operational status of the shredder with varying colour codes and back-lit symbols; automatic reverse and power cut-off (avoids paper jams). 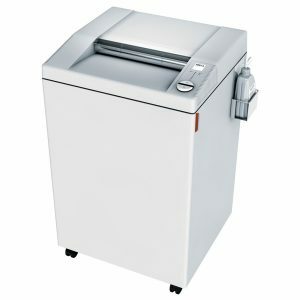 High capacity office shredder with spacious feed opening for large paper sizes and electronic capacity control for continuous feeding without jams. SPS – (Safety Protection System) package: patented, electronically controlled, transparent safety flap in the feed opening as additional safety element; EASY-SWITCH – intelligent control element indicating the operational status of the shredder with varying colour codes and back-lit symbols; automatic reverse and power cut-off (avoids paper jams). 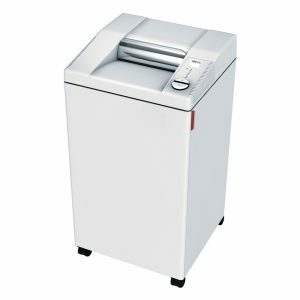 Innovative high capacity office shredder with electronic capacity control and automatic oil injection system for a consistently high shred performance. 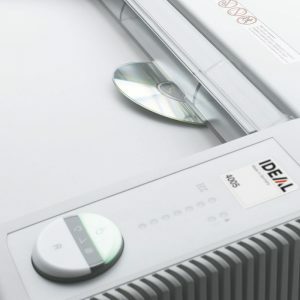 SPS – (Safety Protection System) package: patented, electronically controlled, transparent safety flap in the feed opening as additional safety element; EASY-SWITCH – intelligent control element indicating the operational status of the shredder with varying colour codes and back-lit symbols; automatic reverse and power cut-off (avoids paper jams).